Want to get away, but don’t have a lot of extra money or extra time? 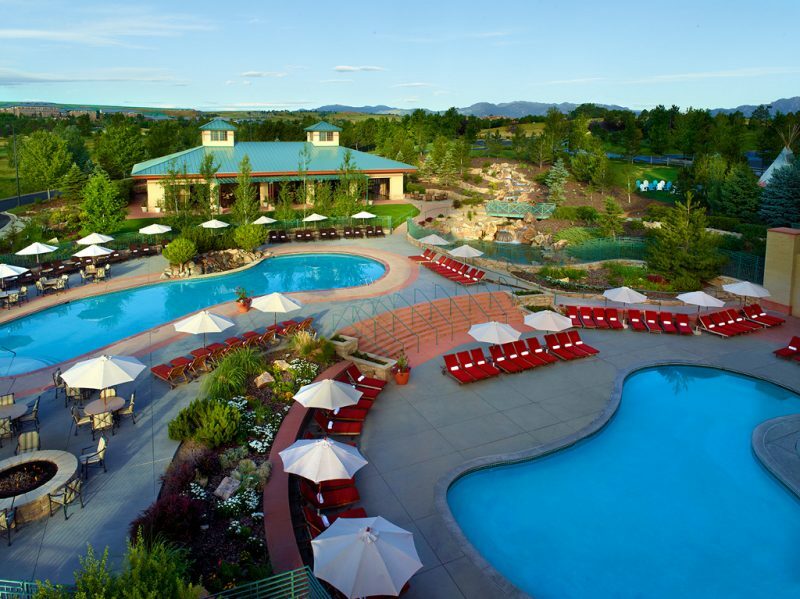 There are a few hotels located on Colorado’s Front Range that will give you a resort experience close to home. Whether you plan to take the kids along, want a romantic weekend with your sweetheart or are looking for a place to party with the girlfriends, these hotels have got your covered. Over the next month or so, I’m going to share with you some of the Front Range’s best staycation hotels starting with the Omni Interlocken in Broomfield, Colorado. The Omni is an expansive resort property that features a spa, multiple swimming pools, kids club and semi-private champion 27-hole golf course that can’t be topped when it comes to views. 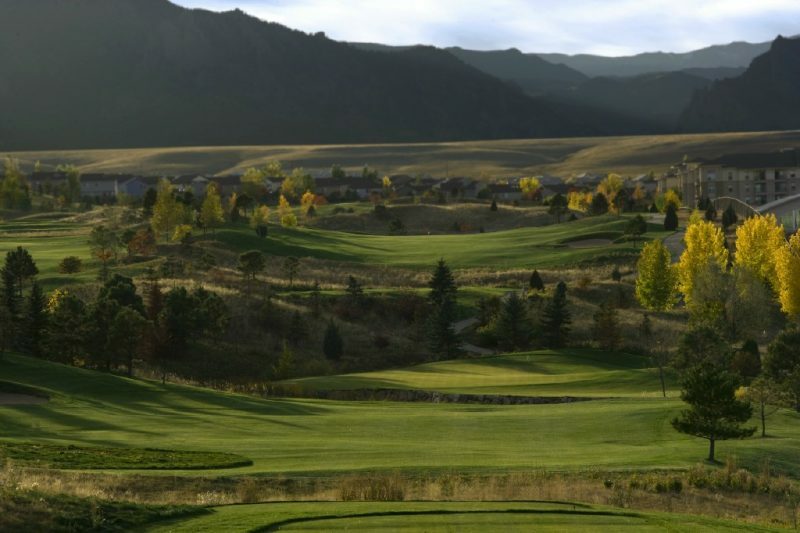 In fact, the course offers up such spectacular scenes of the Flatirons and the Rocky Mountains that couples occasionally book a wedding on the course. Hole four on Vista is the highest point between Denver and Boulder, and while the views are stunning, the wind on this par five is nearly always blowing in a golfer’s face, so sometimes this can be a long hole to play. If you start to feel discouraged, just look up and take in the amazing view. The Omni Interlocken Golf Club is expansive, and with a 400-foot elevation gain, it’s a strenuous course to walk. A golf cart is highly recommended, otherwise getting in all the holes in a day could prove difficult – I know I couldn’t do it. While the Vista, Sunshine and Eldorado courses each have their own unique characteristics, a feature they all offer is double and tripled tiered greens, which provides an interesting challenge for a golfer of any level. Golfers who wish to play all 27 holes at Omni usually golf 18 holes before enjoying lunch at Fairways Restaurant in the clubhouse and then play the last nine in the afternoon. Fairways offers a sweet happy hour, a full menu and stays open late during high season. Omni Interlocken’s hotel property, located on a hill near the Boulder Turnpike, has several special features, not to mention million dollar views from guest rooms. I stayed at Omni last month with a girlfriend and our favorite feature was the swimming pool that’s open year-round. 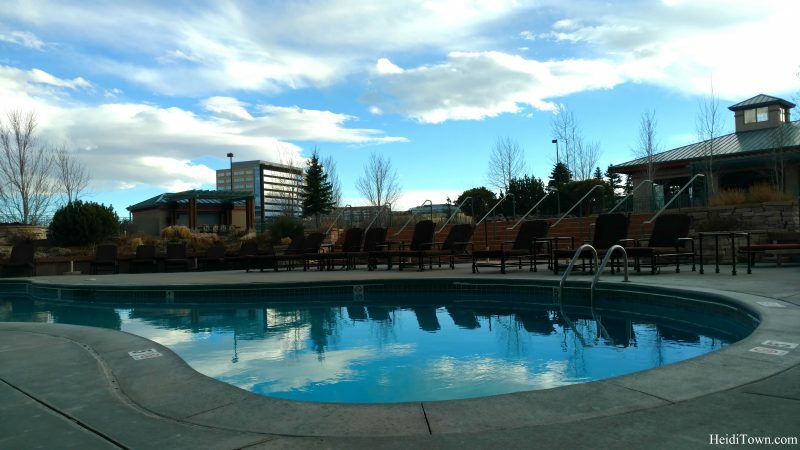 This pool, one of two on the property, is one great reason to make this your Denver staycation destination. During the summer, the pool area is home to the H20 Poolside Park & Grill which gives this area of the resort a Floridian feel, minus the palm trees. 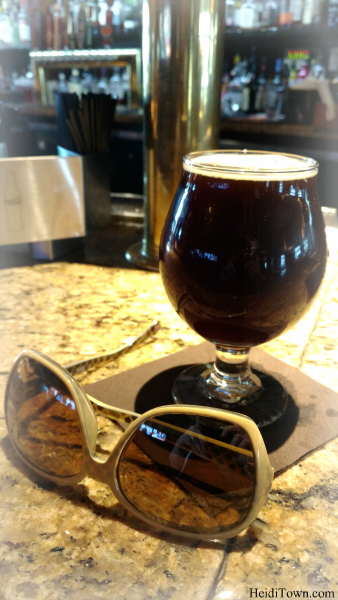 The Tap Room, located just steps from the hotel lobby, is a fantastic sports bar with dark wood, lots of televisions and 26 Colorado craft brews on tap. This is a novelty that I haven’t run across in during my many stays at Colorado hotels. Their list includes barrel aged beers and more. A real beer connoisseur will not be disappointed. Barrel aged Face Down Brown by Telluride Brewing Company. The bartenders here make The Tap Room feel less like a hotel bar and more like your neighborhood pub. The free-to-play pool tables are often frequented by locals who live and work in the area. Even if you don’t stay at the Omni, their daily breakfast buffet is worth stopping by. It is one of the best I’ve encountered in my travels. While it’s not huge, the offerings are top shelf and include items like made-to-order omelets, three type of fancy butter and housemade sausage. 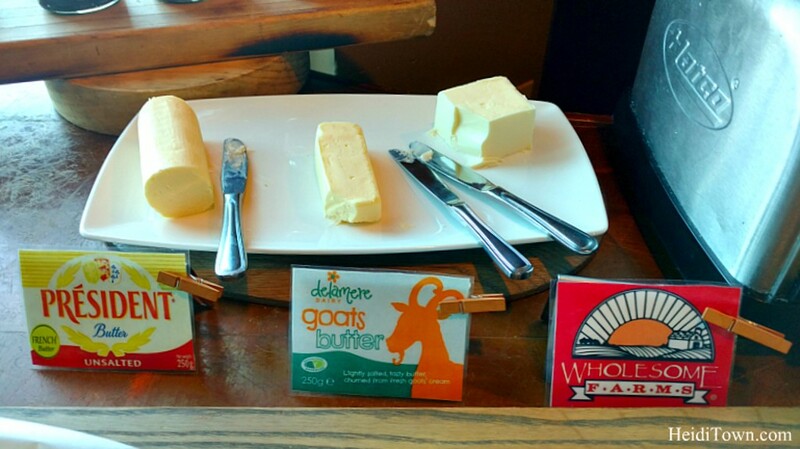 My husband thinks it’s weird to take a photo of butter at a breakfast buffet, but I don’t, especially when it’s this good! 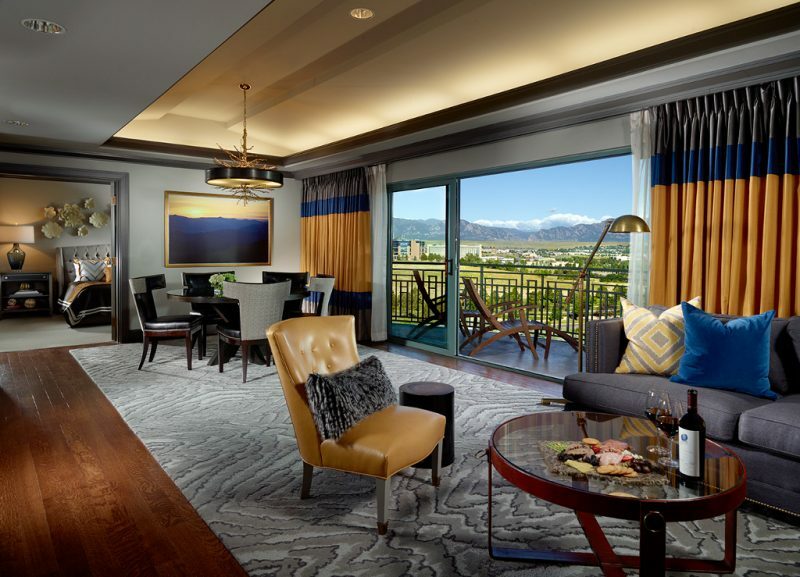 Whether you come for a golf getaway, spa day with your girlfriend or a family staycation, the Omni Interlocken is a delightful place for anyone looking for a resort style hotel in the Denver area. Thank you to the Omni Interlocken for hosting us on our stay at your beautiful property.